Six logos featured in LogoLounge 9! I'm beyond thrilled to share that LogoLounge 9 features six logos by Jody Worthington Graphic Design! LogoLounge is the one of the most respected and best-selling logo design book series out there. The 22,000 submissions were juried by an esteemed panel of logo design giants and only 2000 of the world’s top logos made the cut. I'll be showcasing each of the published logos in the coming weeks, here on the blog. Thank you to Bill Gardner and the Logo Lounge jurors for such an honor! Arrive, Breathe, and Be Still. I designed the cover and interior pages, and boy was this one a doozy! This year, student writers from Downtown High School became playwrights – which meant lots of unusual text formatting and a complex system of style guides. But I was looking forward to a challenge and after about 80 hours tweaking the 300+ pages in InDesign I can safely say that I'm a pro at stage play formatting and design. The launch party extravaganza was held at Intersection for the Arts in San Francisco, and featured readings by playwright Octavio Solis and the students themselves. Check out the blog post from 826 here! Claire + Tim's keepsake wedding book. Back in September I had the pleasure of working with Claire, a bride from Bermuda who asked me to design a keepsake program for her wedding. She and her fiance had an amazing day planned, and wanted to create a pocket-sized book to capture and preserve the event, the story of their families, and local Bermudian history. Using vintage family photographs and illustrations of Bermudian flora, Cardinals and butterflies, I designed the booklet as part-program, part-memento. 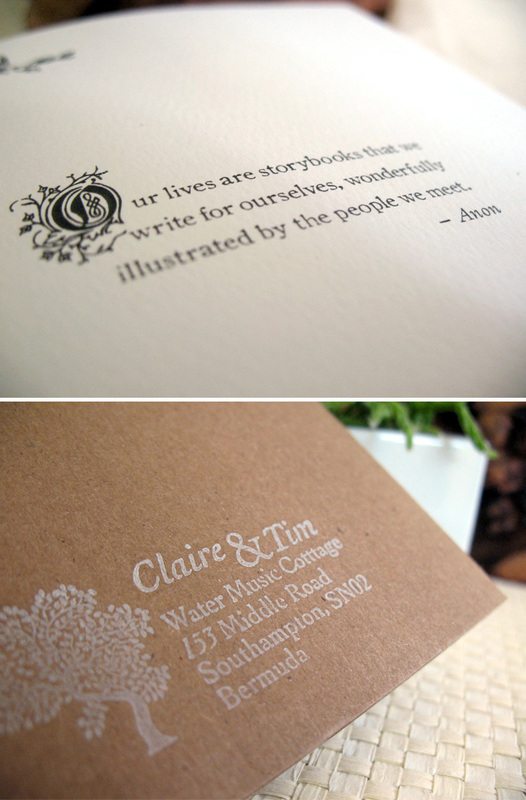 Claire had the books printed locally and incorporated custom stamps with mini muslin bags to complete the package. I received a sample in the mail yesterday and couldn't be more happy with how they turned out! A day at SF Zine Fest. One of my favorite tables at the show. Wertzateria and Jim Winters had some totally awesome art prints, cards and books. I had fun chatting with Michael of Wertzateria as I scrounged up the moola to purchase one of his screen prints (those quarters sure came in handy). 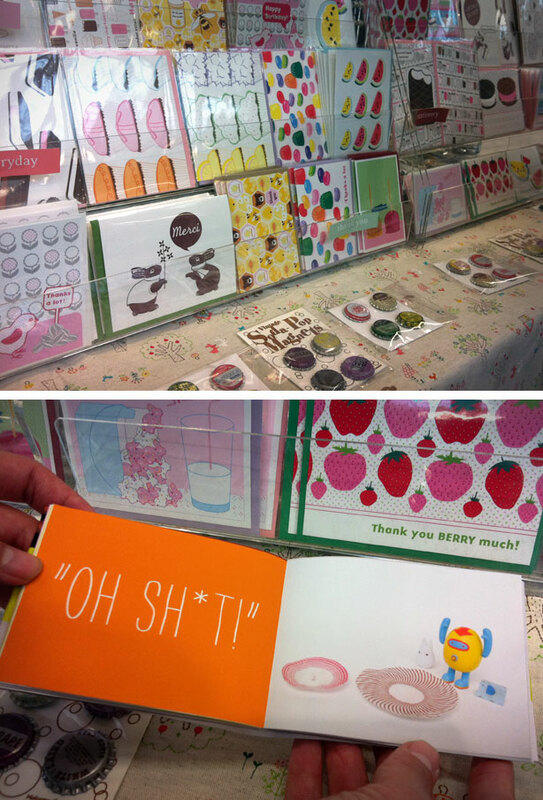 Adorable cards and knicknacks from the even more adorable Laurie of Motormouth Press. Laurie showed me her new teeny-tiny photo storybook that she put together with an X-acto and some tape while sitting behind her booth. Cortney Cassidy and Teenagers In Love had some pretty rad zines and shirts to show off. We loved Courtney's "Lake Mohave Mojave" limited edition pictorial. 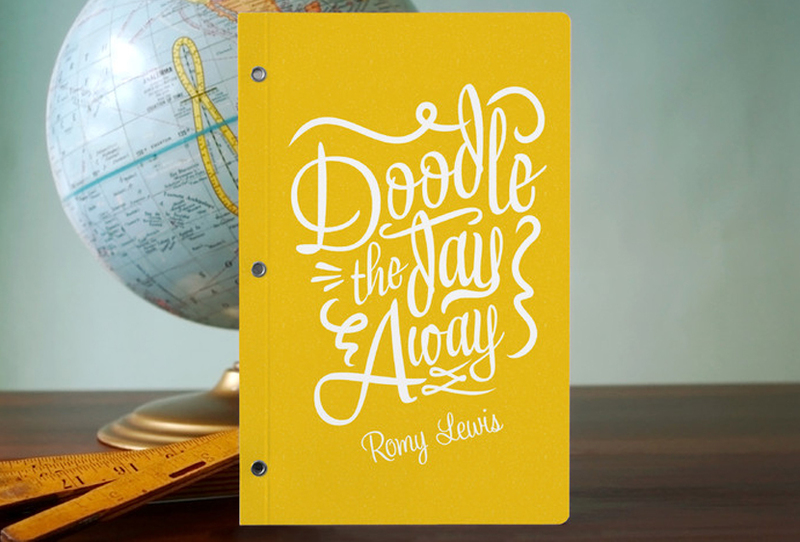 Minted is launching a brand-spankin-new product – notebooks! 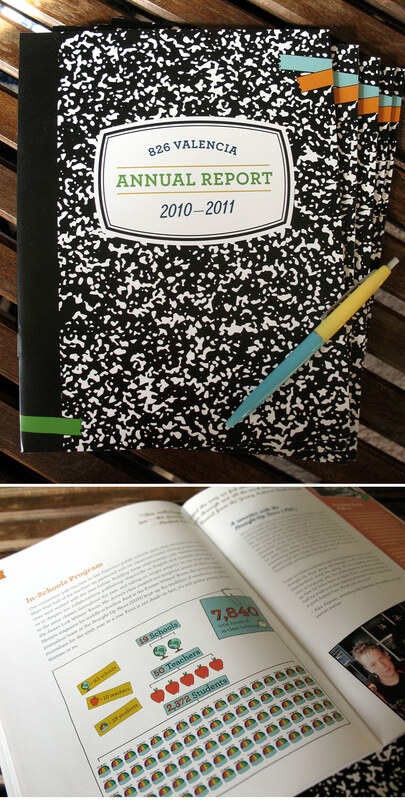 I entered their most recent challenge with a few notebook cover designs (Flag Parade, Doodlebook, and Wood Type). Voting is now open, so help a sista out! Hint: you can click on each image above to open the voting page. For the past few months I've worked with 826 Valencia to produce this year's issue of the Young Authors' Book Project, Beyond Stolen Flames, Forbidden Fruit, and Telephone Booths. Juniors and seniors from June Jordan School for Equity wrote personal essays and stories based on the theme, "the power of myth." Working with 826 Valencia's creative director, Maria Ines Montes, and cover illustrator Matt Leunig, I conceptualized, designed, and laid out the 290-page anthology. With Maria Ines Montes (right) at the Beyond launch party. A highlight of the book's launch party occurred when guest speaker (and one of my favorite authors), Khaled Hosseini, said to the students: "If this is your first publication..." as he held up the foil-stamped cover of Beyond, "you’re doing all right." Ahhh! Beyond will soon be sold at the Pirate Store and on Amazon.com. Jonathan Safran Foer literally carved out the story in his latest book, Tree of Codes. He pioneered an intricate die-cutting technique by physically omitting text from one of his favorite novels, The Street of Crocodiles by Bruno Schulz. Every printer Foer approached turned him down, saying it was impossible to create a such a book with a different die-cut on each page. Luckily Die Keure in Belgium was up to a challenge, and after a year of cutting and proto-typing, created this amazing piece. It's out, it's out! Since January, I have been working with the lovely people at 826 Valencia to create the latest Young Authors' Book Project short story anthology. I designed the cover, illustrated the chapter openers, and typeset the interior pages of the 280-page book. After many late nights and countless copyedits, I'm so excited to hold the book in my hands and gaze at it on my bookshelf. The book is available for purchase at the Pirate Store and on Amazon.com. Thank you 826 for doing what you do, and for being so wonderful to work with!